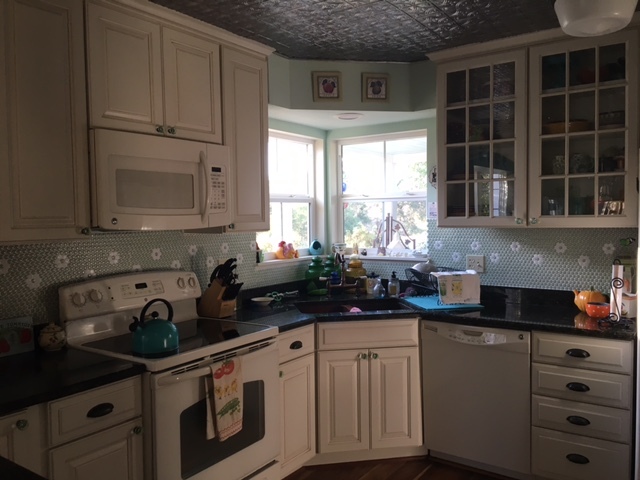 Though our farmhouse is not old, I wanted the feeling of an old farmhouse. I personally did all the designing in our home. 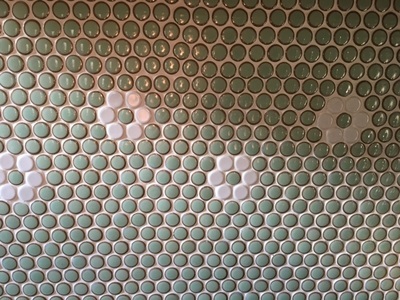 We also did much of the work ourselves as well. 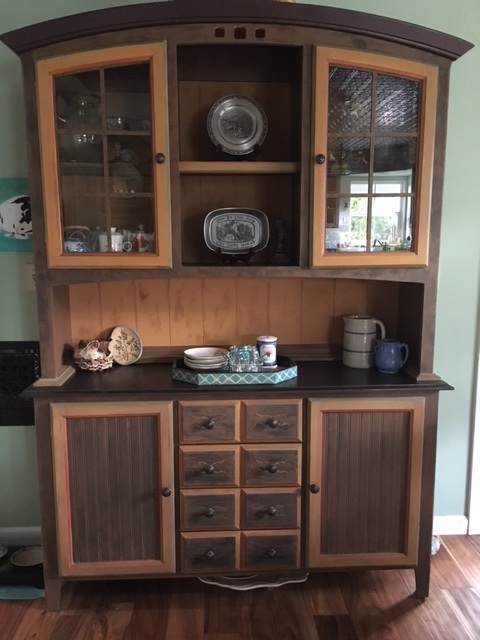 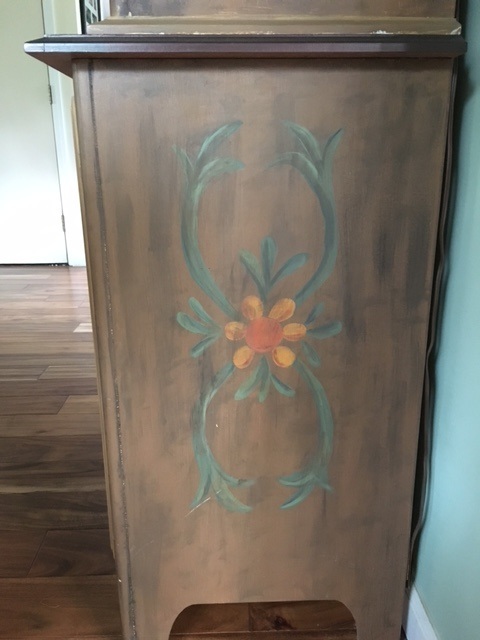 I repainted this old hutch with various colors and a little folk art details. 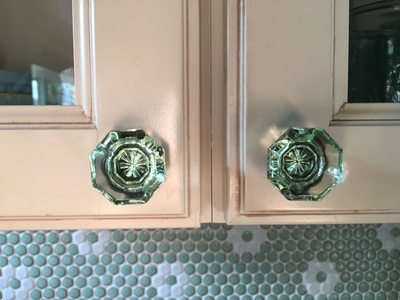 The lovely glass knobs on the kitchen cabinets always make me happy when I look at them! 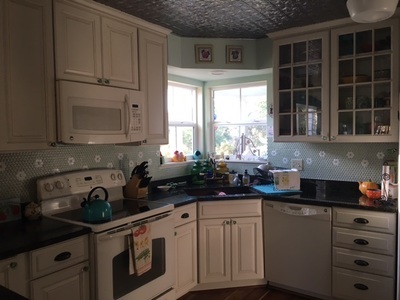 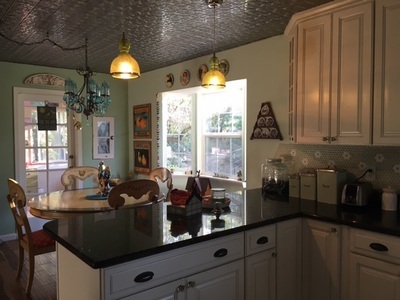 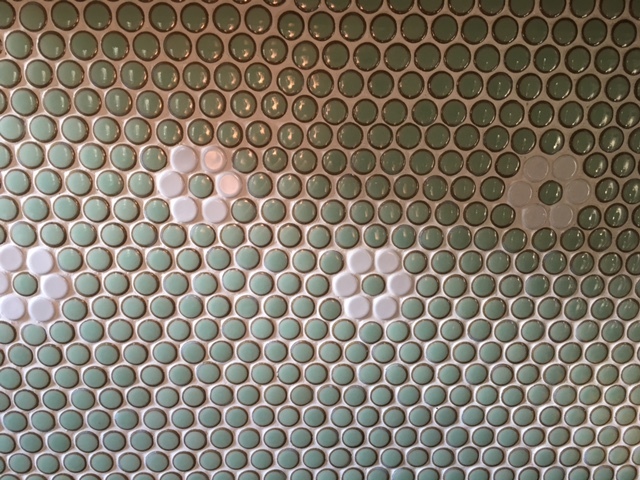 We used penny tile for the backsplash, which is kind of an unusual choice. 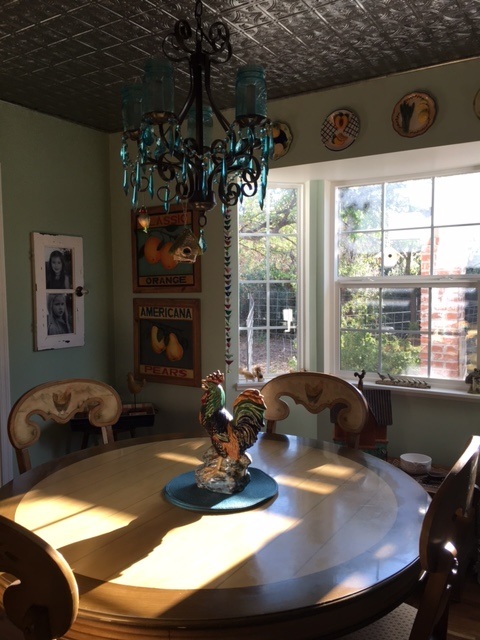 The paint color is the same shade as the color of the blue/green eggs our Americana chickens lay! 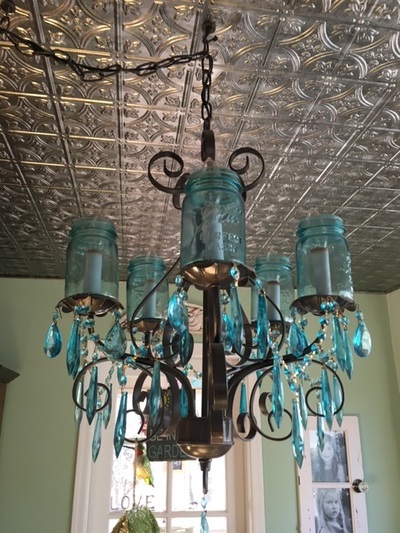 We use mason jars in the kitchen as well as for our light fixture!